Shant & Clint Maximus, aka Game Chasers, are back with a beautiful collaboration with JES on Magik Muzik/Black Hole Recordings, set for release on April 28th and featuring a Markus Schulz Remix + a Deeper Mood Mix and we had the pleasure to have a quick interview with the boys to talk a bit about their release, production & more. Here’s what they had to say. 1- First of all, can you tell us about ‘Game Chasers’. How did it all start? ➜ Game Chasers was a product of the Shant & Clint Maximus alias, really wanted an outlet to show off our different styles and forms of production. As for the name, we had the idea of “FAME CHASERS” originally, but when Clint sent out the name… for some reason auto-correct changed it to “GAME CHASERS” … haha, it was fate. 2- You previously collaborated with JES and your current release features a Markus Schulz remix. How would you describe the initial track and working with Markus? ➜ Working on the original track was really good, we had this track finished at the beginning of last year, Shant did such an amazing job reworking everything. JES sent over the original vocal and said: “This has to be a Game Chasers Track”… no exception. For us, it was something with a summer vibe and JES always delivers on the vocal front. Later on, JES had already expressed her enthusiasm to get someone big for the remix, when we found out Markus loved the original and wanted to remix it… was blown… Speechless! 3- Do you consider producing a Trance track? ➜ We still have our Shant & Clint Maximus alias for more Progressive/Trance tunes and we already have something in mind for the future. 4- How do you see the current Trance Scene worldwide & locally? And where do you see it going in the future? ➜ Trance is really making a comeback this year and next year (not that it went anywhere in the first place) but more and more bigger names are starting to shift onto the Trance Train. As for a local scene… Yes, we have the fans if any big talent comes rolling into town… Armin, Markus, Ferry etc, etc.. but for local talent, it’s getting increasingly harder as most clubs play the same music! Plus we are not a fan of the term “Commercial”. 5- Let’s talk a bit about Clint. You used to play Trance on ‘The Edge’, why did you stop? And ‘Maximus Beatbox’ on the radio was a very cool thing, do you consider bringing it back? ➜ The Edge Radio Show is a platform for me to showcase my productions with the very talented Shant, it’s already airing on over 60 radio stations across the world, and I think the show needs to reflect what I’m producing at the moment. As for The Beatbox, just not having the time to pump-out sets every day. The Edge already takes a lot of time, plus music production with Shant and eventually tours will take over (Fingers crossed). 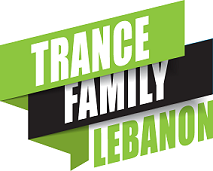 6- Any last message for your fans & #TranceFamilyLeb? ➜ I think we need to support our local talent more, and local talent needs to bring out more quality. Clubland in Lebanon is saturated with clubs that take it from one extreme to the other… We need balance!